It’s stylish, it’s practical and it’s very fast, which is why the Volkswagen Golf R hovers at the top of our “cars we will definitely own… one day” list. But for those profligate peeps looking to invest in arguably one of the best everyday drives currently on sale, there’s good news, because VW has gifted its red hot hatch an extra 10hp and some neat (if a little hard to spot) exterior styling updates. That means the 2.0-litre turbo engine now develops an awesome 310hp, which matches the figures kicked out by the angry little Audi S3. Power is still pumped through all four wheels, just in case you were worried about a lack of grip, while the 0-62mph sprint time is 0.3 seconds quicker than the previous generation, dipping to 4.6-seconds. Expect to achieve even faster drags in the real world, as VW is being typically German and very conservative with those numbers. Styling updates include new LED headlamps at the front, as well as sharper lamps at the rear, while the bumpers have been taken back to the drawing board and given a makeover. More importantly, the old six-speed DSG automatic gearbox – which feels like it has been around forever and had a tendency to dither during track sessions – has been jettisoned in favour of a new seven-speed dual-clutch ‘box that swaps cogs quicker than ever before. VW is being tight-lipped about improvements to the interior tech but early details suggest the infotainment screens have been replaced with sharper and more responsive units. 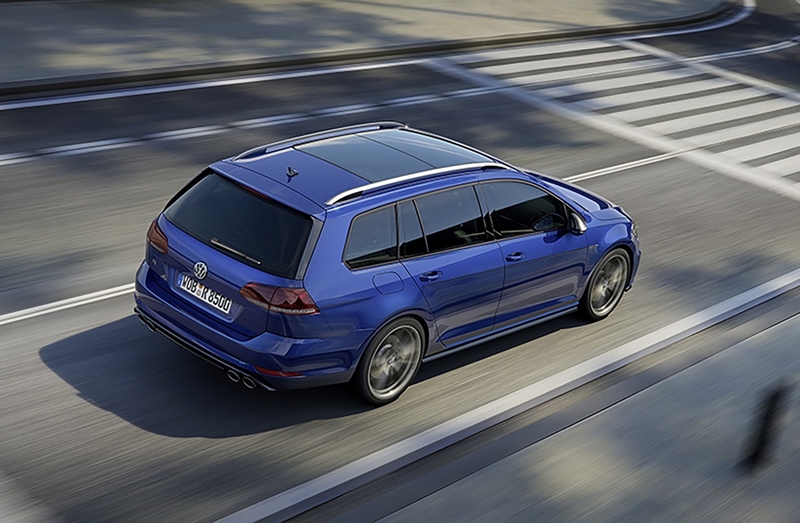 And yes, you can still spec the Golf R in an estate body style, which instantly makes it one of the coolest cars on the road in our book.